Before the appointment of Ole Gunnar Solskjaer as the interim manager, it seemed as though half of the team needed to be moved on, and some major reinforcements were going to be necessary in the summer. As we stand now approaching the final stretch of the season, it no longer feels that way. The feeling in and around Manchester United seems to be that there is enough talent at the club to lead it back to glory. The summer transfer window should be more about finding three or four solid pieces to strengthen the team that would be the league leaders if we only counted the points earned since Ole’s appointment. Personally, I would like to see Ole be given the job, to allow him to bring in some players that he thinks are needed in order to get to that next level and give the team the depth necessary to compete for the league title. The thought of that and a full pre-season under his watch makes me very optimistic for what is ahead regardless of the results for the rest of the season. Manchester United desperately needs an out and out, reliable right back. 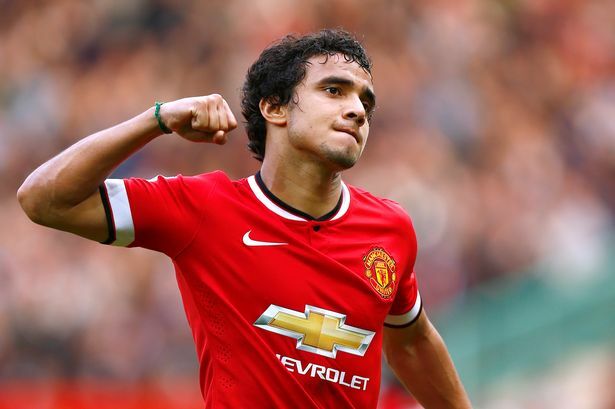 It still makes me and many other fans mad that Rafael was sold under Louis Van Gaal, as despite not being perfect, he was the closest thing that United have had to a proper right back since Gary Neville retired. He always gave it his all, never pulled out of challenges and was defensively very sound while being dangerous going forward. And that’s exactly what the club needs to look for. Right now, Antonio Valencia is all but finished, Ashley Young and Diogo Dalot are both very offensive minded and tend to make a lot of mistakes on the defensive end, particularly with their positioning. Dalot of course is still young and has plenty of time to polish that side of his game, but Young is on the other end of his career and will not get any better. Since Dalot is here though, I would not look for another young right back, as we also have plenty of those in the academy and Tim Fosu-Mensah returning from loan. I would like for the club to sign someone more experienced and reliable to give United some good minutes in that position and perhaps mentor Dalot as he continues his development to become the long-term choice there. This is a very similar situation to the one at the right back position, except that United have had a lot of centre backs over the years, but they just have not been very good. After getting used to the standards set by Rio Ferdinand and Nemanja Vidic week in week out, it is difficult to see the mistake prone Chris Smalling and Phil Jones line out at the heart of the defence and more often than not let the team down. Personally, I like the current pairing of Smalling and Lindelof. I feel like Smalling doesn’t get the credit he deserves for his defensive abilities due to the abilities that he lacks technically. But that technical ability is made up for him by Victor Lindelof, who has really grown into a solid player for United and is still young too. With that being said, Lindelof is most definitely the long-term choice for me at one side of the centre of our defence, but on the other side United really needs a player that is similar to Smalling physically and defensively, but better. A world class defender and a leader that they have been missing since the departures of Vidic and Rio. Kalidou Koulibaly has Manchester United defender written all over him, and I think he should be the number one priority if the club goes centre back shopping this summer. All of the positions that have been mentioned are really principle to creating a strong team, and yet at United, there has been gaping holes in those positions for years. Currently, whoever gets put on the team sheet as a right sided attacker instantly becomes allergic to that side of the field and always camps inside, making the left side and the middle crowded and United’s attacks very predictable to defend against. Upon Sanchez’s arrival, I looked back to his days at Barcelona and Udinese where he really made his name as a right winger, and I thought that he would be a very useful addition to the already very talented attack at United. But instead, Sanchez was constantly put on the left, which resulted in Martial being frozen out and the right-hand side being as empty as ever - the wait continues. I really struggle to remember off the top of my head, the last time United had a world class right winger. Honestly, it was probably young David Beckham. But despite that, Sir Alex always had some personnel to play there that would at least ask the opposing full back questions and provide United with that bit of threat down that side. Whether it was Valencia, Nani, or Park, there was always someone that would occupy that side and provide the width that United were known for. For me, signing a top right winger would probably be at the very top of the list this summer. It is a hole that desperately needs to be filled. It’s just not acceptable for Manchester United to be completely reliant on near 34-year-old, now full back, Ashley Young to be the only source of threat that there is coming from the right-hand side. I am a fan of the idea of signing Jadon Sancho, but I don't think he is a proven product just yet. But even though we need reliability and leadership, there is not a wealth of options to choose from in that position and he may just be the best one right now to fill in that gap.